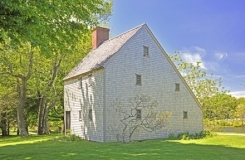 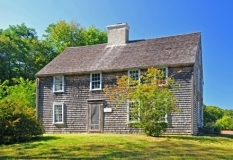 Hoxie House (c 1675), Sandwich, Cape Cod, Massachusetts; Exterior in spring. 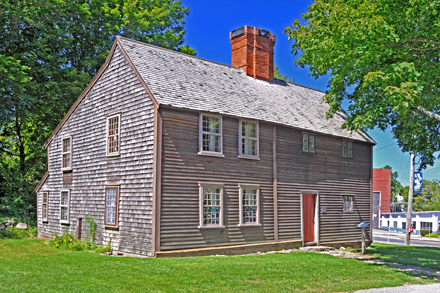 Rebecca Nurse House (late 17, early 18 century) Danvers, Massachusetts. 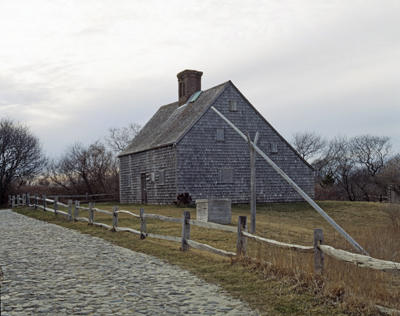 Jethro Coffin House (c 1686), Nantucket, Massachusetts. 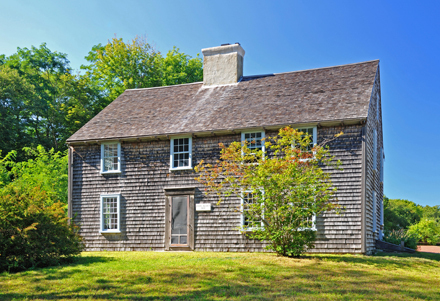 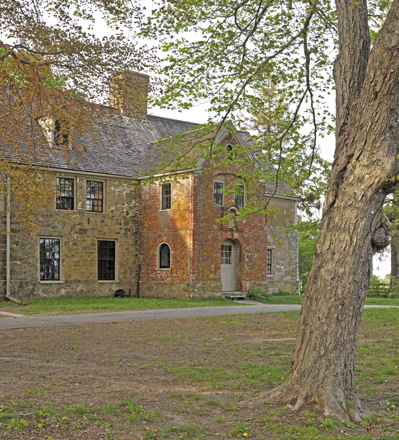 John Alden House (1670s), Duxbury, Massachusetts. 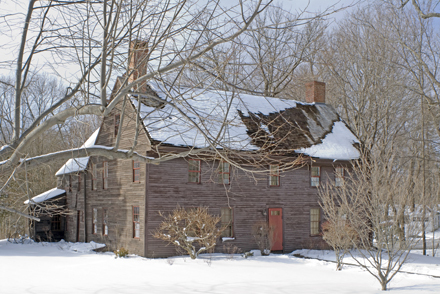 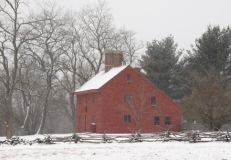 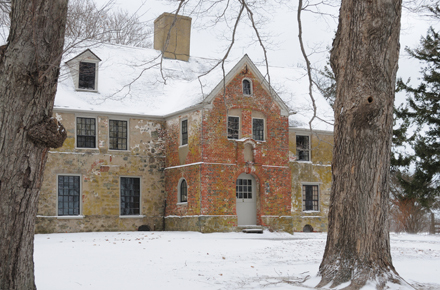 Coffin House (1678), Newbury, Massachusetts; In snow. 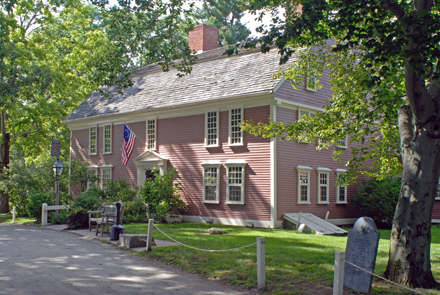 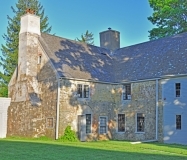 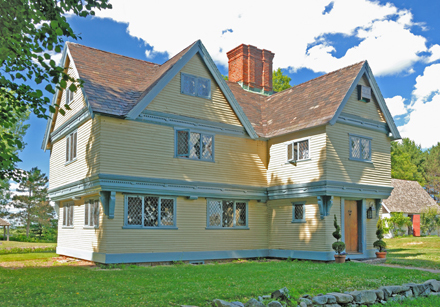 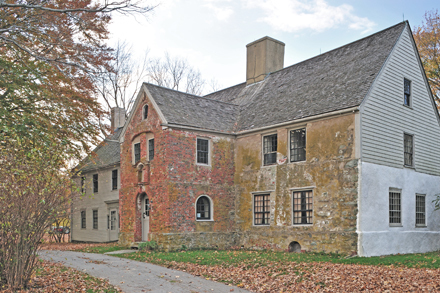 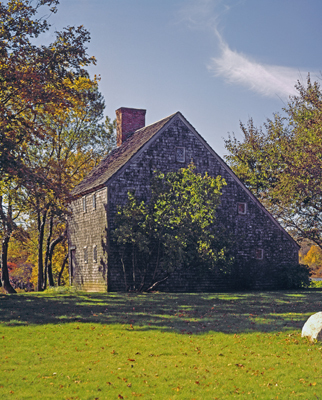 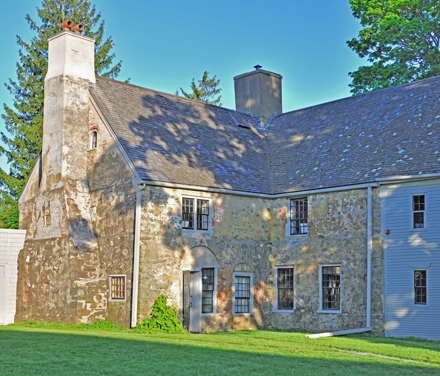 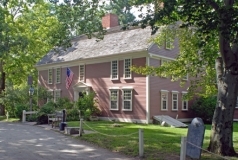 Ironmaster's (Appleton, Taylor, Mansfield) House (1689), Saugus, Massachusetts. 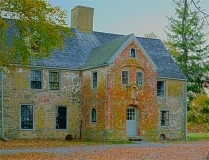 Restored by Wallace Nutting. 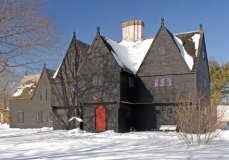 Note the many features of a "post-medieval" house: facade gables, projecting porch, pinnacles atop the gables, pilastered chimney, overhang or jetty, drops or pendants, diamond pane casement windows. Paine-Dodge House (1694) Greenwood Farm, Ipswich, Massachusetts. 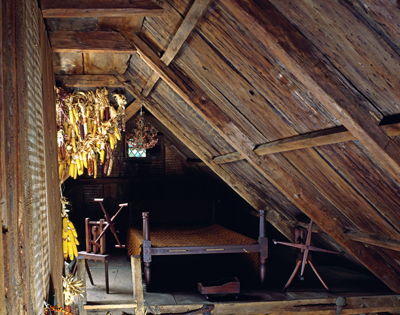 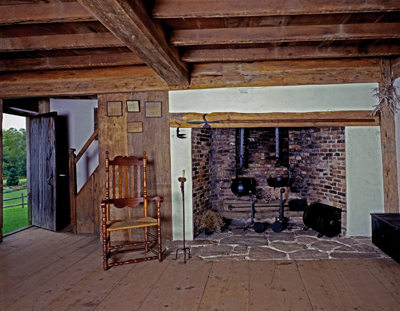 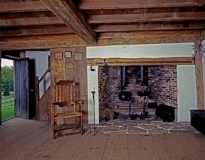 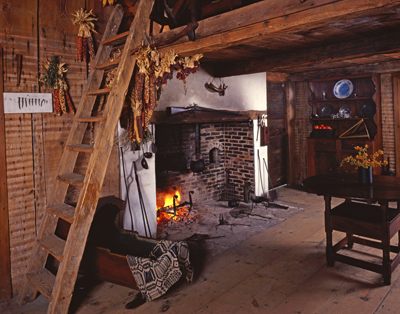 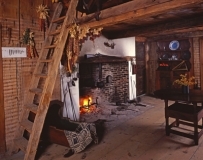 A center-chimney late 17th century saltbox. Spencer-Peirce-Little House (1690), Newbury, Massachusetts; Early part - On winter afternoon. 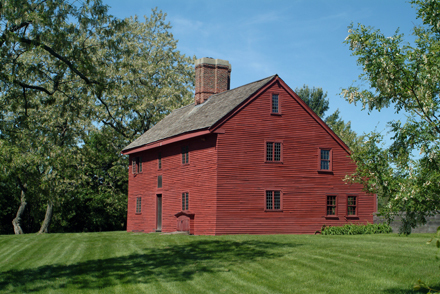 Spencer-Peirce-Little House (1690), Newbury, Massachusetts; Early part from southwest. 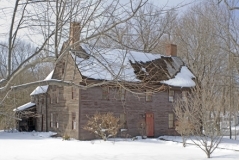 Spencer-Peirce-Little House (1690), Newbury, Massachusetts; Rear from northwest. Spencer-Peirce-Little House (1690), Newbury, Massachusetts; From southeast in fall. 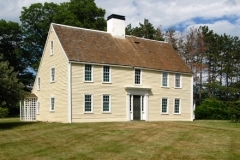 Spencer-Peirce-Little House (c1690), Newbury, Massachusetts; Detail of original (east) facade.